Restores an Aqua theme to iTunes 7. Is there a better alternative to AguaT? Is AguaT really the best app in Icon Tools category? Will AguaT work good on macOS 10.13.4? 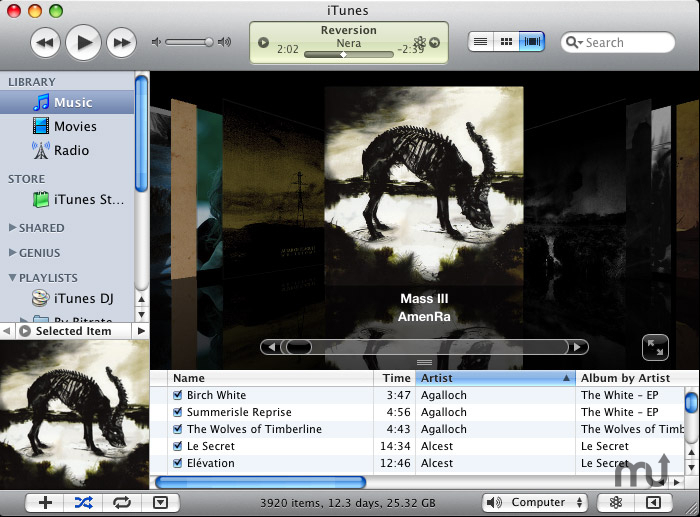 AguaT restores an Aqua theme to iTunes 9 - one that jives with the Leopard and Snow Leopard themes. Everything from the view selector to the scrollbars is re-aquified. Because after all, change for change's sake isn't necessarily a good thing. Now with a Leopard-ready 512x512 icon set! AguaT needs a rating. Be the first to rate this app and get the discussion started!